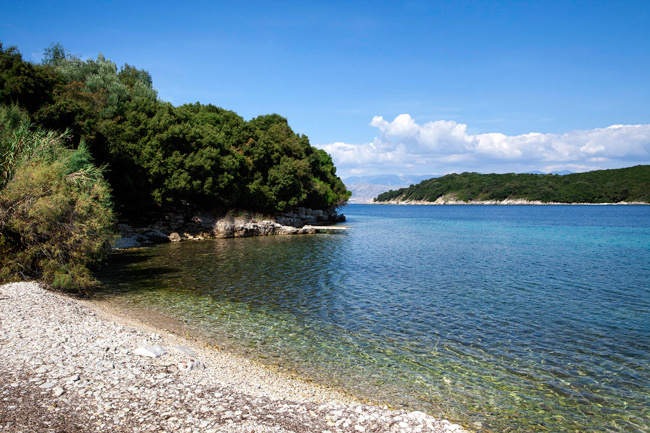 Embraced by the lush nature of Corfu hills, Avlaki beach is a peaceful, awarded with a Blue Flag beach in Corfu, located only 1,5m. from Bella Mare Hotel. Avlaki beach will amaze you with its fascinating, wild beauty and its green nature almost reaching the crystal clear blue waters. The beach offers sand mixed with small white pebbles and it is organized, providing a plethora of activities, such as horse riding, sailing, windsurfing and other water sports. At the same time, Avlaki beach is the perfect place to relax and unwind under the sun of the Ionian, enjoy water sports and feel the essence of the Greek summer, at a walking distance from Corfu Hotel Bella Mare. Avlaki beach also offers a few taverns to enjoy fresh fish and delicious local food nearby, while it is only some kilometers away from the more touristic Kassiopi Village.